The final project for my life drawing class was also a full body self portrait. For this project, I challenged myself to do the opposite of my midterm (read about that project here). My midterm was in a relatively high key (featuring predominately white/light gray tones), no crosshatching, and showed me (in an open pose) as a glamorous figure. Therefore I wanted this project to be mostly dark with a lot of hatching, featuring myself (in a closed pose) as a weird cave-like creature (who values personal hygiene). 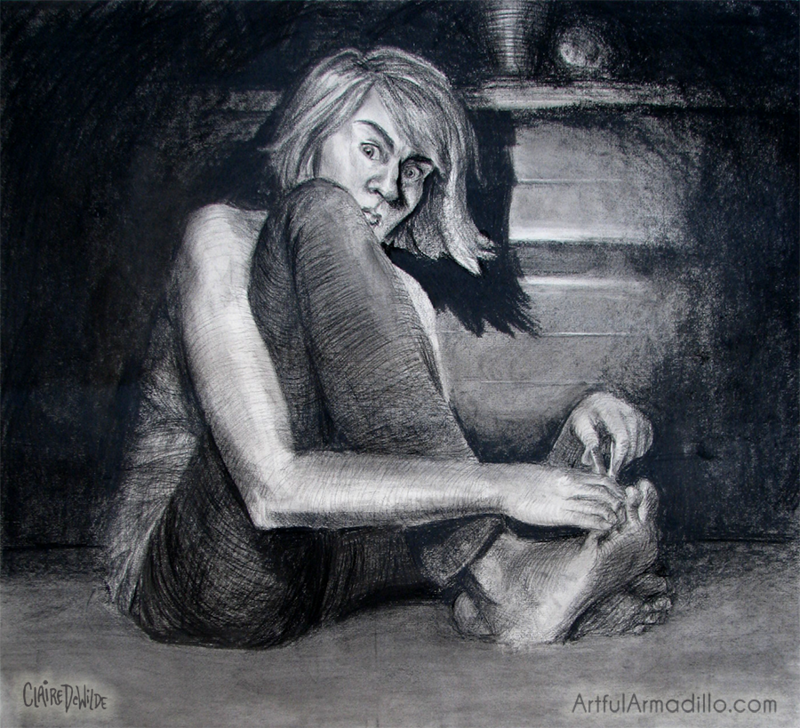 I had a lot of fun with this project, and my only frustration was the damage the charcoal took on the commute to and from school.